The U.S. Department of Energy (DOE) announced that it will invest up to €291.2/US$385 million in six biorefinery projects over the next four years. When fully operational, the biorefineries are expected to produce more than 130 million gallons (492 million liters) of cellulosic ethanol per year. This production will help further President Bush’s goal of making cellulosic ethanol cost-competitive with gasoline by 2012 and, along with increased automobile fuel efficiency, reduce America’s gasoline consumption by 20 percent in ten years. The funds are the government's share out of a total estimated investment in the biorefineries of more than €907million/US$1.2 billion. Cellulosic ethanol is an alternative fuel made from a wide variety of (non-food) biomass feedstocks, including agricultural wastes such as corn stover and cereal straws, industrial plant waste like saw dust and paper pulp, and energy crops grown specifically for fuel production like switchgrass. By using a variety of regional feedstocks for refining cellulosic ethanol, the fuel can be produced in nearly every region of the U.S. Though it requires a more complex refining process, cellulosic ethanol contains more net energy and results in lower greenhouse emissions than traditional corn-based ethanol. The announcement is one part of the Bush Administration’s comprehensive plan to support commercialization of scientific breakthroughs on biofuels. Specifically, these projects directly support the goals of President Bush’s Twenty in Ten Initiative, which aims to increase the use of renewable and alternative fuels in the transportation sector to the equivalent of 35 billion gallons of ethanol a year by 2017 (earlier post). Abengoa Bioenergy Biomass [*.pdf - project file]of Kansas, LLC of Chesterfield, Missouri, up to $76 million. The proposed plant will be located in the state of Kansas. The plant will produce 11.4 million gallons of ethanol annually and enough energy to power the facility, with any excess energy being used to power the adjacent corn dry grind mill. The plant will use 700 tons per day of corn stover, wheat straw, milo stubble, switchgrass, and other feedstocks. Abengoa Bioenergy Biomass investors/participants include: Abengoa Bioenergy R&D, Inc.; Abengoa Engineering and Construction, LLC; Antares Corp.; and Taylor Engineering. ALICO, Inc. [*.pdf] of LaBelle, Florida, up to $33 million. The proposed plant will be in LaBelle (Hendry County), Florida. The plant will produce 13.9 million gallons of ethanol a year and 6,255 kilowatts of electric power, as well as 8.8 tons of hydrogen and 50 tons of ammonia per day. For feedstock, the plant will use 770 tons per day of yard, wood, and vegetative wastes and eventually energycane. ALICO, Inc. investors/participants include: Bioengineering Resources, Inc. of Fayetteville, Arkansas; Washington Group International of Boise, Idaho; GeoSyntec Consultants of Boca Raton, Florida; BG Katz Companies/JAKS, LLC of Parkland, Florida; and Emmaus Foundation, Inc.
BlueFire Ethanol, Inc. [*.pdf] of Irvine, California, up to $40 million. The proposed plant will be in Southern California. The plant will be sited on an existing landfill and produce about 19 million gallons of ethanol a year. 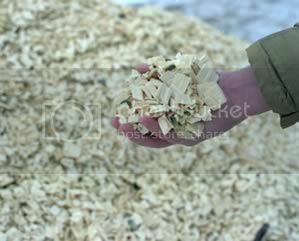 As feedstock, the plant would use 700 tons per day of sorted green waste and wood waste from landfills. BlueFire Ethanol, Inc. investors/participants include: Waste Management, Inc.; JGC Corporation; MECS Inc.; NAES; and PetroDiamond. Broin Companies [*.pdf] of Sioux Falls, South Dakota, up to $80 million. The plant is in Emmetsburg (Palo Alto County), Iowa, and after expansion, it will produce 125 million gallons of ethanol per year, of which roughly 25percent will be cellulosic ethanol. For feedstock in the production of cellulosic ethanol, the plant expects to use 842 tons per day of corn fiber, cobs, and stalks. Broin Companies participants include: E. I. du Pont de Nemours and Company; Novozymes North America, Inc.; and DOE’s National Renewable Energy Laboratory. Iogen Biorefinery Partners [*.pdf] LLC, of Arlington, Virginia, up to $80 million. The proposed plant will be built in Shelley, Idaho, near Idaho Falls, and will produce 18 million gallons of ethanol annually. The plant will use 700 tons per day of agricultural residues including wheat straw, barley straw, corn stover, switchgrass, and rice straw as feedstocks. Iogen Biorefinery Partners, LLC investors/partners include: Iogen Energy Corporation; Iogen Corporation; Goldman Sachs; and The Royal Dutch/Shell Group. Combined with the industry cost share, more than €907million/US$1.2 billion will be invested in the six biorefineries. Negotiations between the selected companies and DOE will begin immediately to determine final project plans and funding levels. Funding will begin this fiscal year and run through FY 2010. EPAct authorized DOE to solicit and fund proposals for the commercial demonstration of advanced biorefineries that use cellulosic feedstocks to produce ethanol and co-produce bioproducts and electricity. Funding for these projects is an integral part of the President’s Biofuels Initiative that will lead to the wide-scale use of non-food based biomass, such as agricultural waste, trees, forest residues, and perennial grasses in the production of transportation fuels, electricity, and other products. The solicitation, announced a year ago, was initially for three biorefineries and $160 million. However, in an effort to expedite the goals of President Bush’s Advanced Energy Initiative and help achieve the goals of his Twenty in Ten Initiative, within authority of the Energy Policy Act of 2005 (EPAct 2005), Section 932, Secretary Bodman raised the funding ceiling. “We had a number of very good proposals, but these six were considered ‘meritorious’ by a merit review panel made up of bioenergy experts. So I thought it would be best to front-end some more funding now, so that we could all reap the benefits of the President’s vision sooner,” Secretary Bodman said.